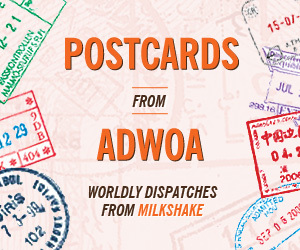 Milkshake contributor Adwoa checks in with a twofer this week, putting a global spin on cool gift ideas as the holiday season gets under way. Remember the lazy days of summer when you were younger, skateboarding and grumbling about how the rest of the world didn’t give you any respect? Now that we’re older, it’s time to give that respect back to the planet – let EQO Optics show you how in style. 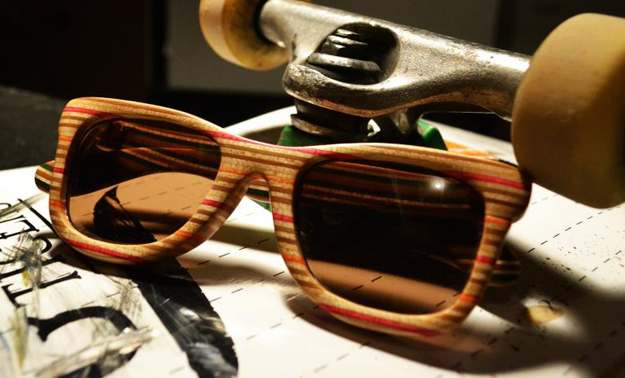 The Colorado Springs-based company infuses the DIY spirit of skaters with a new upcycled ethos, sawing and sanding boards into sleek Wayfarer-esque shades. The Polaroid lenses and classic silhouette of the Sycamore and Sycamore Lite ($80) radiate the kind of effortless cool most of us could only dream of when we were fifteen. A collaboration with I Ride I Recycle provides all the broken skateboards that founders Jon Winfrey and Ryan Vecchiarelli can shake a stick at. And the company’s partnership with an impressive array of charitable skate-related endeavors, from Art of Board to Grind For Life, give it the ability to touch the lives of everyone from public art viewers to cancer survivors. For the planet and for the people: sounds to me like quintessential cool. 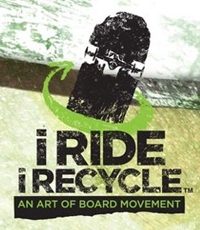 I Ride I Recycle is a grassroots national skateboard deck recycling movement. It seeks to shift the perspective on skateboarding from that of a disrespected art form to one that keeps decks out of landfills and supports skateshops, parks, and charities.